If you have the honor of planning the bridal shower, you can use some cute ideas to make your own bridal shower invitations. Making your own invitations gives them a more personal feel. It makes them special and unique, like the bride to be. You can find free templates online or create your own using your computer. Styles range from postcards to folded invitations. They can be printed or made using scrapbooking techniques. 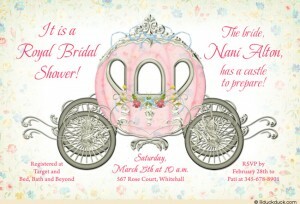 Use your imagination and have fun making your invitations for the bridal shower. 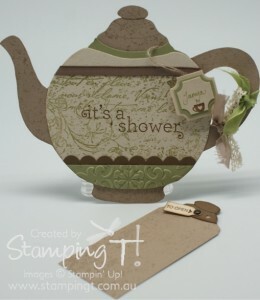 When you plan a bridal tea party for your shower theme, a teapot works beautifully as an invitation. Use colors that match the bride’s choices. Add a string and little tag for a tea bag and a place to write the bride’s name. Create your teapot so it opens. This way you can write the details on the inside. 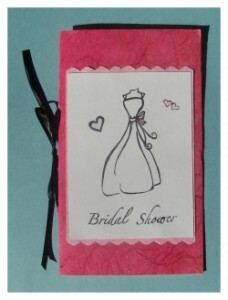 You can create a very simple yet pretty shower invitation using a sketch of a wedding dress. Use scrapbooking materials and techniques to create a card. You can sketch the dress and print copies to use on the invitation. Add a ribbon and a scalloped edge behind the sketch to create your invitations. Write the details inside or use your printer for a more formal script. 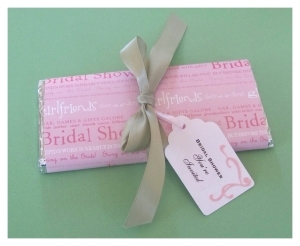 For a fun and unique idea, you can use candy bars as invitations to the shower. You need some pretty paper and a printer as well as candy bars. Use your printer to print words on the paper. You will need to cut the paper to fit the candy bars, and then wrap them. Tie them with a pretty ribbon. Of course, these adorable invitations are better handed out personally instead of being mailed. Because the wedding is a type of fairy tale ending, the shower can be a fairy tale princess theme. You can create magical invitations with a carriage decorating the front. Use words like royal, castle, and majestic. Request the honor of their presence at the shower. You add a castle in the distance or a crown in the corner above the carriage. For a pretty invitation, you can use flowers on the front of a card. Roses are beautiful on an invitation. You can make them a color that matches the bride’s colors. Use a folded card so you can include details on the inside. Use a font that is elegant and looks like handwriting. 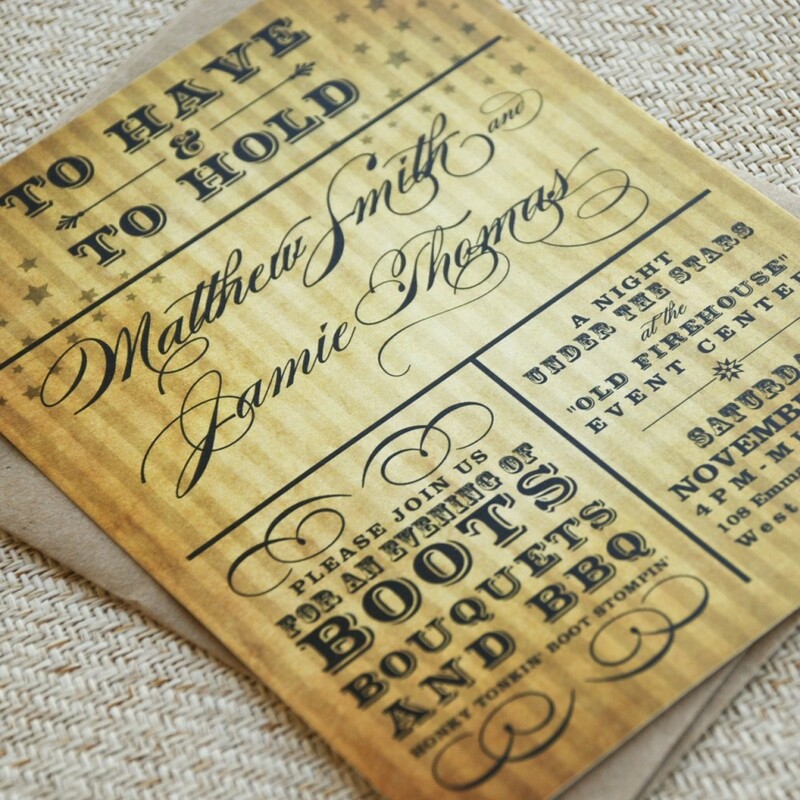 This makes a simple yet charming invitation. Many times the cake is the center of the shower after the bride. You can create a postcard using a cake as the decorative touch. Make a wedding cake on your postcards. You will be able to print the details on the front of the card above the cake. You can use your computer and find clip art to add the cake to your design. Choose a pretty font for your wording. 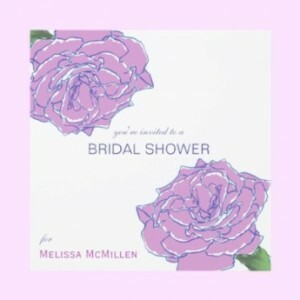 If your shower has a kitchen theme, you can create a postcard invitation using clip art. 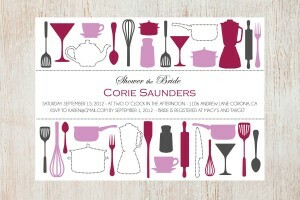 Find clip art designs of kitchen items to border the card. Add the details to the center of the card. You can create postcards using your computer and printer. You can also use scrapbooking stamps in the shape of kitchen items to create the border and print the details. 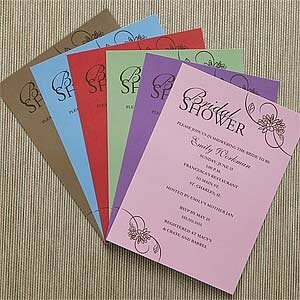 For a quick and easy shower invitation, you can use colored paper to create simple postcards. 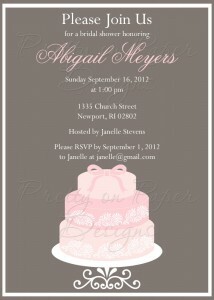 Using your computer and a fancy font, you can create a simple and pretty invitation. Print the details in the fancy font on the front of the colored cards. Add a fancy scroll or flowers to the edge of the card. You can use assorted colors or make them all one color. For a more formal style invitation, you can use scrapbooking materials to create a card with a layered look. Add dimensions to your card using scrapbooking techniques. You can add a ribbon, scallops around edges, and a solid background. 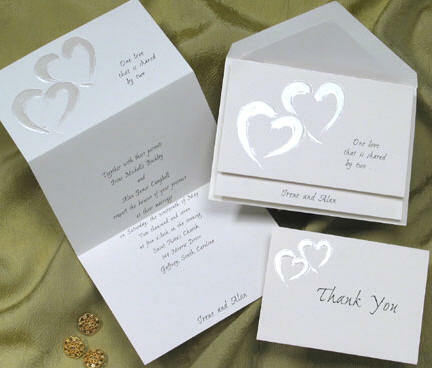 Use thicker paper for parts of your design to create texture on your card. Adding raised wording along with the ribbon will add depth to your design. Center a plain colored card with details on the background piece and the layers over that. Shower invitations for generations have had an umbrella as the design. You can use scrapbooking materials to create a pretty umbrella on your invitations. You can use material or scrapbooking paper for the umbrella. Cut your card so you can fold it. Put the umbrella on the front and add sparkles for raindrops. Use your printer to print the details in a pretty font on the inside.